In a recent legacy conference on the Extraordinary Chambers in the Courts of Cambodia (ECCC), it was reported that former Co-Investigating Judge Marcel Lemonde, in commenting on the achievements and failures of the ECCC, bemoaned: “The dish is not exactly what we ordered.” Perhaps not, but it should be underscored that those in the kitchen (then and now) bear responsibility for the dish presently being served. 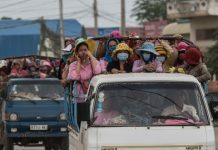 To assuage the government’s concerns about controlling this court as it does all other courts in Cambodia, the U.N. gave up the initiative and agreed to a mixed tribunal beset from the start with quagmires, bottlenecks and redundant procedures. There is no excuse, however, (other than political expediency) for the ECCC’s repeated failure to consistently apply international standards and best practices. The ECCC will not be judged by the results of the two or three, or even four, cases that it will try. The die was cast the moment the ECCC was established; convictions are the inevitable and expected outcome. Anything less would be anathema not only to the public, who have already convicted the accused in the court of public opinion, but also to the donors. Imagine the blowback if, after spending $230 million (the ECCC’s projected expenditure up to only 2013), a verdict of not guilty is reached for any of the accused. The expected (and, by all accounts from the public and donors, desired) outcome of guilty verdicts for the accused is, alas, an aside, even to the die-hard human rights types. 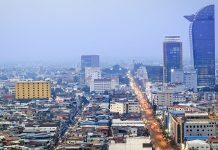 The real issue, and one that does appear to concern those who advocate the rule of law here in Cambodia (little of which can be found in the ordinary courts), is procedural and substantive justice. So, when Mr. Lemonde waxes on about how the ECCC is failing to meet its goals, it bears recalling the reasons it is failing. Mr. Lemonde faults the adoption and mixture of the “cons” (as in the negative) from the civil, adversarial and international proceedings, though he conveniently forgets that the judges made the Internal Rules, which to this day continue to be amended and unevenly interpreted and applied. While the reasons are many why the ECCC is failing (despite the hard and honest work by nearly all), the primary reason seems to be the judges. Tough and sensitive issues such as corruption have often been swept under the proverbial rug. The investigative process which Mr. Lemonde set up and supervised has been anything but complete and impartial. Imagine a process in which the investigators pre-prepared questions and answers to the interpreter and witness to read into a microphone to pretend that an interview took place and ask yourselves whether this is indicative of a fair, impartial process. The defense lawyers were recently admonished for bringing this actual occurrence to the Trial Chamber’s attention. And what about when procedures or modalities during the trial change or evolve to such an extent that the perception that unavoidably emerges is that the ECCC is lowering its standards to mirror (if not mimic) the ordinary courts in Cambodia? A good example is the procedure for using documents at trial, a procedure that is in a constant state of flux. It often appears that decisions as to whether and how a document may be used depend on which party seeks to use the document. The ECCC is failing as a model court because the international judges have not been robust in insisting on the uncompromising application of international standards and best practices. Though there have been some brave dissenting voices, and perhaps the rare brave decision, the norm has been to go along in order to get along. This is perhaps the greatest failure at the ECCC. The sad truth is that through inaction, or in the spirit of being diplomatic, the international judges have been co-opted into, and thus have been complicit in, re-enforcing certain systemic weaknesses embedded in the Cambodian courts. Some may claim that this is a matter of being pragmatic. However, pragmatism is simply a code word for consequentialism: the ends (getting the trial over with) justify the means (anything goes so long as it can be packaged as righteous). This is the usual excuse for justifying situational ethics. Mam Sonando’s conviction should serve as a clarion call as to why it is essential for the ECCC judges to reject any attempts, however convenient or desirable, to deviate from the strict application of international standards. The ECCC will rightly be judged by the quality of its proceedings, its rulings and its judgments. This is inescapable. This may not matter much to members of the public who just want a quick result, but it should matter to all those involved in these judicial proceedings. It is still not too late for the ECCC to improve, though time is running out. Strict application of procedural and substantive justice should not be sacrificed at the altar of political efficiency and convenience. Accountability is necessary not only for those on trial, but also for those conducting the trial. Michael Karnavas is the international co-lawyer for Khmer Rouge Foreign suspect Ieng Sary.